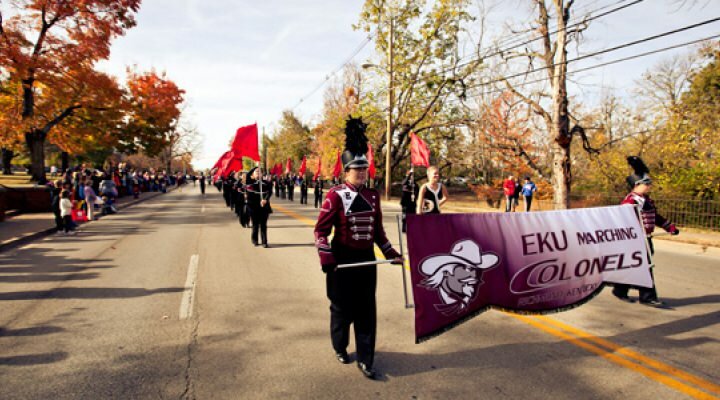 Eastern Kentucky University band members received notification this morning via email that their band program the Eastern Kentucky Marching Colonels would no longer take the field. 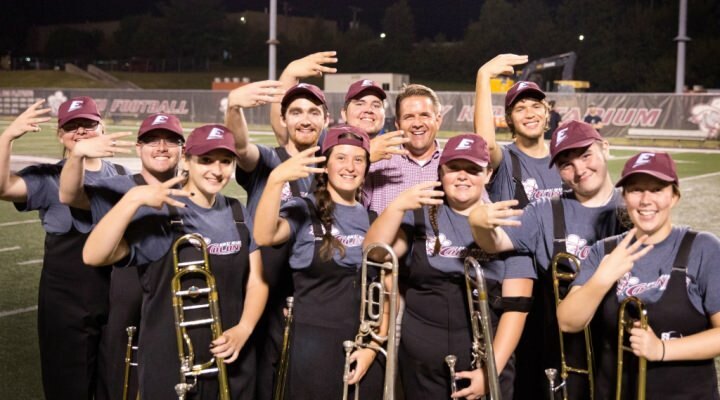 The University has officially cut the marching band and will restructure the pep band into a student run club. All football game music will be handled by athletics. The Marching Colonels was a free elective credit for students and each member received a stipend for participation. The university has been facing devastating budget cuts as they have tried to work through this year's budget. Athletics will lose $2M and has eliminated it's men's and wome n's tennis teams. The university cut 150 jobs as it tries to recoup $25M in recurring costs. The university also cut academic programs including theater certificates and minors an an economic's bachelor's degree and minor. The university said the budget cuts are a result of decreasing enrollment, declines in state funding and increases in pension costs. In response to the budget situation and in consultation with our applied faculty, band conductors, and students, we will restructure the School of Music's involvement in athletic bands beginning in Fall of 2018. We will follow the model set by other institutions of our size and budgetary situation, such as UT Martin. This new model will have opportunities for students who want to participate in athletic bands in the form of an Athletic Band 'Club', managed and funded by Student Success and directed by Dr. Wiggins. This band will perform for select volleyball and basketball games. There will be no marching band--football game music will be handled by athletics. We anticipate that this change will increase our recruiting and retention, give our instrumental majors more time, and allow us to devote resources to areas that we as a faculty have agreed are important. As this decision has been made with the input and approval of a majority of our applied faculty and directors, please support this restructuring among our current students, alumni, and colleagues and refer questions to either me or to Dean Zeigler. This will require a change in our requirements for education majors, which I am addressing. If you have any questions, please don't hesitate to contact me.